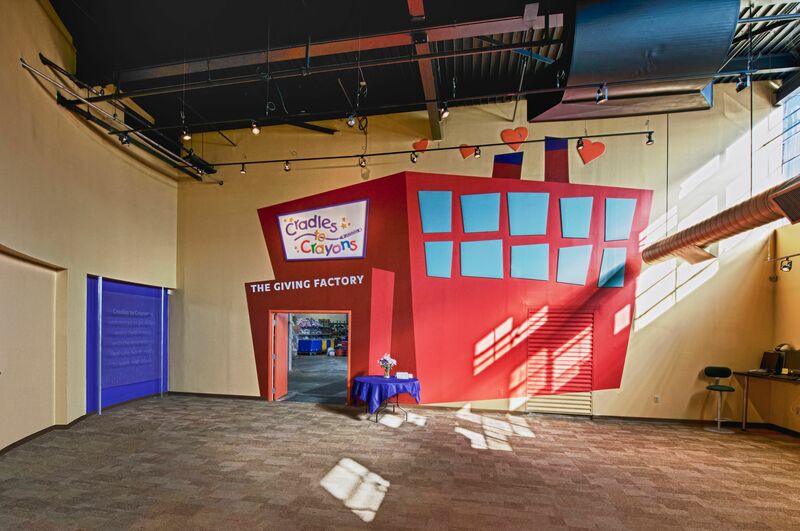 Cradle to Crayons - SMOOK Architecture & Urban Design, Inc.
SMOOK Architecture & Urban Design, designed new offices and warehouse space in Brighton, Massachusetts, for Cradles to Crayons, a non-profit organization currently located in Quincy, Massachusetts. 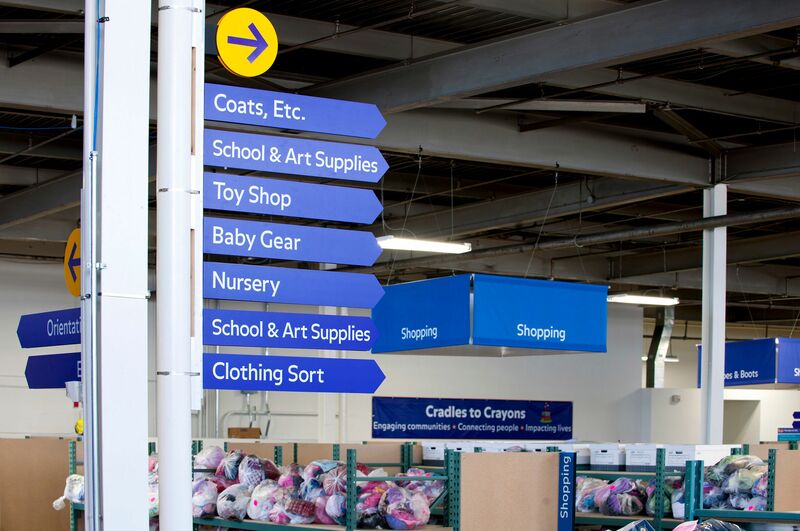 Cradles to Crayons provides basic essentials - such as clothing - to low-income and homeless children, from birth to pre-teen years. 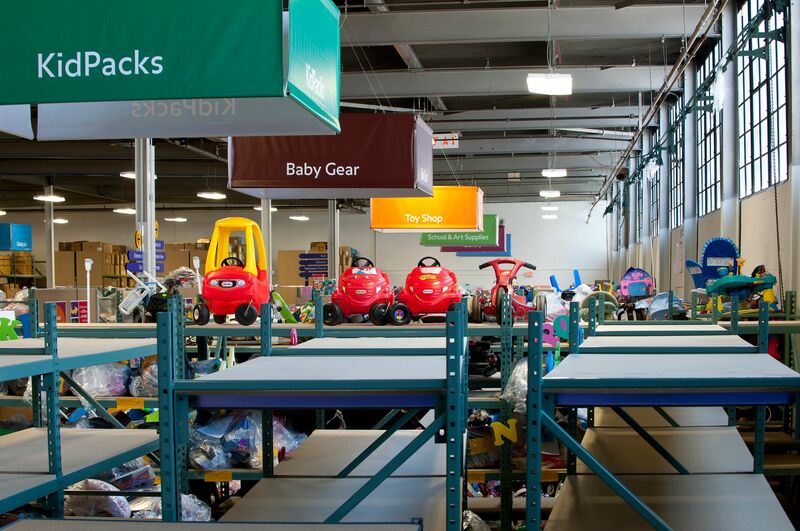 The design addresses two basic programmatic needs: administrative space and warehouse/inventory processing space. 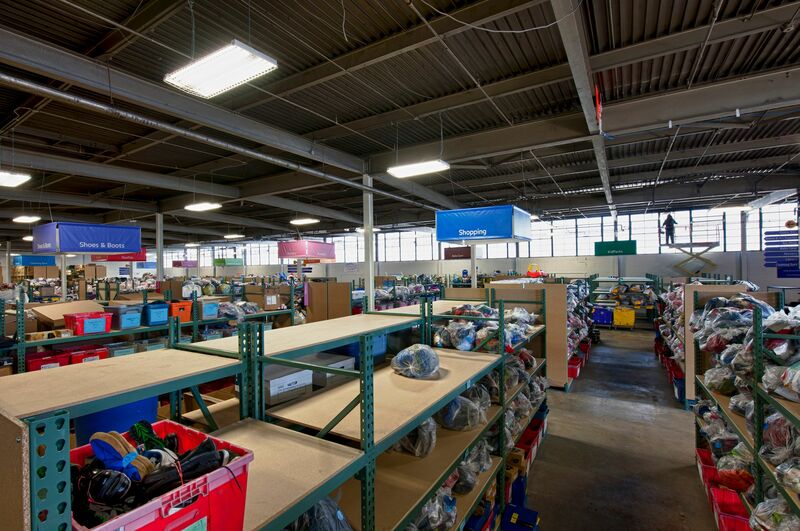 Goods arriving for processing are received at the loading area, and are sorted, packaged, and placed on shelves in the warehouse for resale. 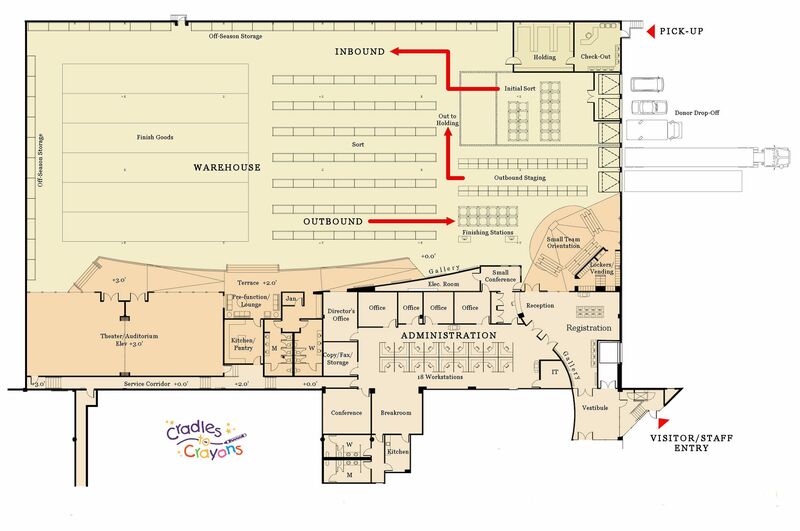 The space has also been configured to accommodate large groups of visitors who participate in orientation and informational sessions. A registration space and presentation area were incorporated into the design, as was a function space for private gatherings.